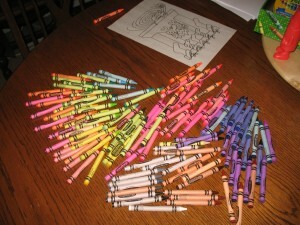 i love crayons. especially new ones. especially crayola ones. i asked for some for Christmas, from my sister-in-law art teacher. she liked my choice of gifts. she bought them for me. 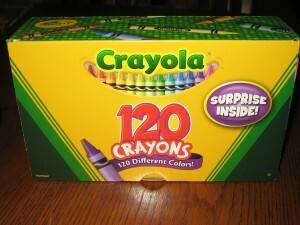 the 120 count box. remember when 64 count was the biggest? 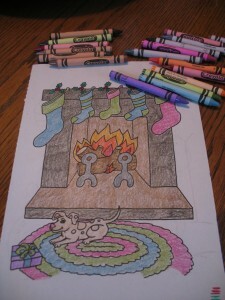 last night i sat down with my crayons. i dumped them, gently, on the table. i picked a picture out of a coloring book. i started to color. it was fun! 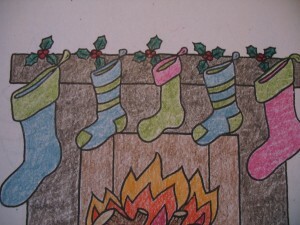 my favorite part, the stockings. I love new crayons also. I always buy the boxes after the school shopping rush is over at the beginning of the school year and they are 10C a box. Priceless. Random enough I love the way they smell! hahaha Guess I am not alone! I love it. Just like my new pencils, my kids told me the same thing. “Mom, you always make us share, you need to share those pencils” No Way!! I love it. 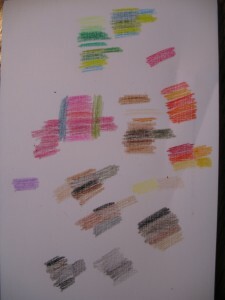 New, sharp crayons are the best!